Want to play a cool game on the First Day or School? 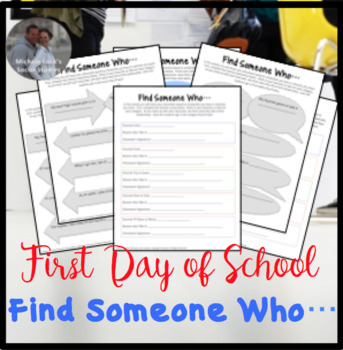 Looking for a no-prep activity for student introductions on the first day back to school? This is a 2-page activity sheet for students to use in a "Find Someone Who..." activity. Students will answer basic questions about their likes and favorites and then circulate the classroom to find classmates that share their preferences. Great activity for the first day of school to get to know your students and to help create a positive classroom climate. This could also be used with staff for a professional development ice breaker or opening day starter.